Priva Zippered Waterproof Vinyl Mattress Protector is constructed of strong, tear resistant six gauge 100 percent vinyl that is scientifically formulated to remain soft. It helps keep your mattress in tiptop shape and protects complete mattress from soiling. 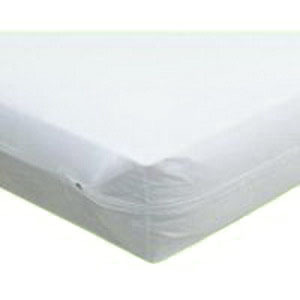 Priva Zippered Waterproof Vinyl Mattress Protector is easy to wipe clean. Electronically welded seams and zippered closure to fully encase mattress.